The NYPD released surveillance video of the West Village robbery suspect. WEST VILLAGE, Manhattan (WABC) -- Police are looking for a suspect who robbed two men at gunpoint in a West Village apartment building. 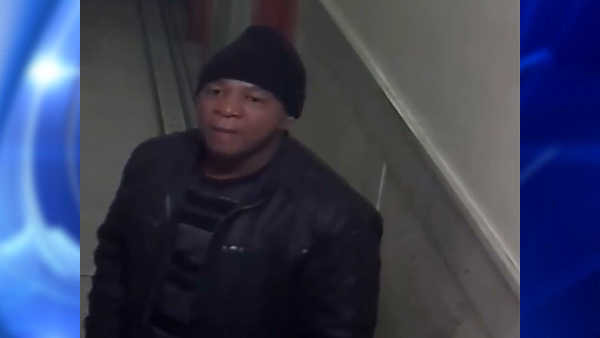 Investigators released surveillance images of the suspect, who they say approached a 30-year-old man and a 29-year-old man inside an apartment building lobby in the vicinity of Waverly Place and Christopher Street on Dec. 13th. According to the NYPD, the man demanded their property while displaying a silver firearm. He took about $400 from one of them before fleeing the scene. The suspect is described as approximately 40-year-old, 5'4" tall, 160lbs., with a dark complexion and last seen wearing a black shirt under a black jacket, blue jeans, black sneakers and a black winter hat.